Back with another #mascaramonday post – you all know how much I love trying mascaras, but especially so if they have a cult status or are the sequel to one I already know and love. When I saw that L’Oreal had come out with a different version of my absolute favourite Butterfly Mascara and then a good friend told me she loved it, I was sold. 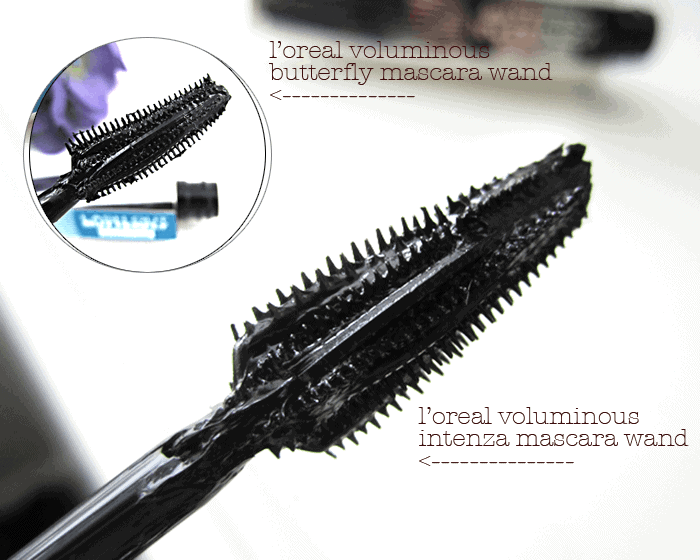 The L’Oreal Voluminous Butterfly Intenza Waterproof Mascara (seriously these names just keep getting longer) has what they call a ‘double wing’ brush, which is supposed to build volume and create a fanned out effect. At first glance I thought it was just a double sided version of the original, but it is actually very different. You can see in my close up that the original Butterfly has longer bristles towards the inner end of the brush (towards the wand) which grabs your outer lashes and wings them out. 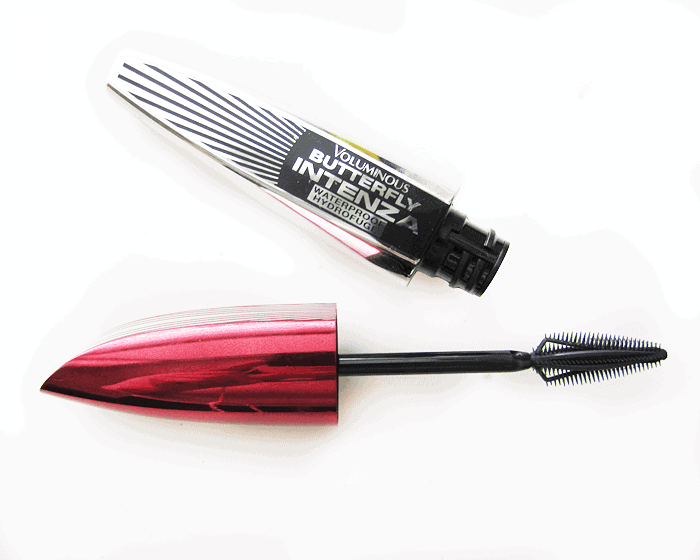 The Intenza actually has shorter bristles and the longer ones are in the middle. You can also see it houses a lot more product when you remove the wand from the tube, which seems to be the answer to getting the volume. In my before and afters you can see my lashes bare, with one coat and then two coats. While I found this wand a bit fiddly to use compared to my original (which I am no doubt used to now) it did build more volume than the original. I didn’t get as much of a winged out fanned effect on the outer corners, but the base of my lashes looked darker and thicker! 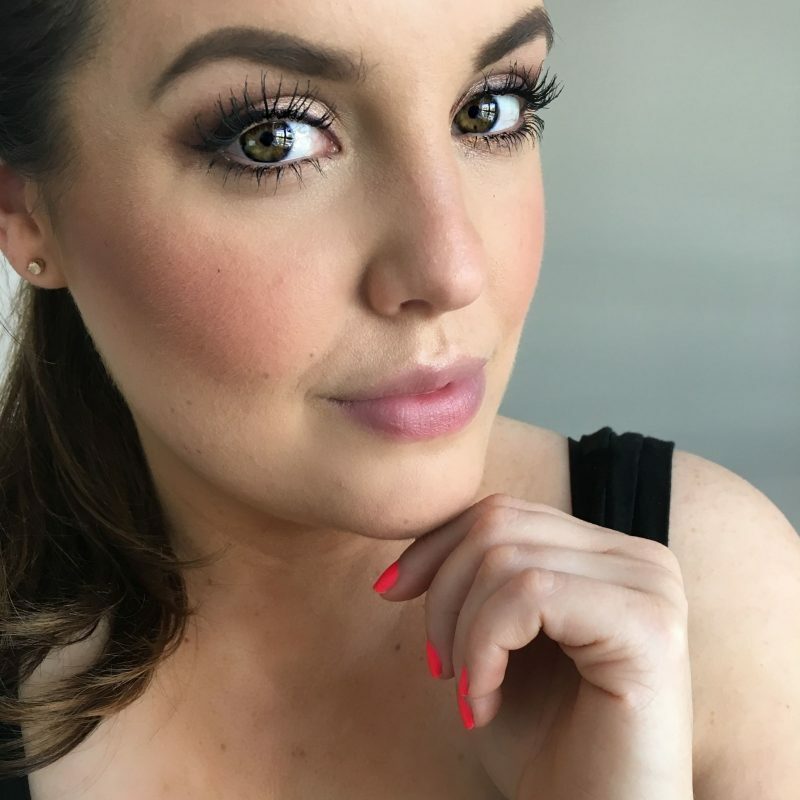 Like the original, I find it works best if you first use the outer curve with the shortest bristles to get the product on your lashes first, and then one side of the ‘double wing’ to pull it through and beef up everything. Another thing to note that is like the original formula is that you need to work on one eye at a time, as this particular waterproof formula dries fairly quickly and it doesn’t layer upon itself well with the synthetic wand as a formula that is drier in texture with a traditional fibre wand. As for the formula itself, it wore extremely well and stayed black all day. Because I chose waterproof it held the curl perfectly, and I actually found that the volume lasted all day with the tips of my lashes looking full right till the end of the night (a possible improvement over the original!) I did get a couple flakes on my brow bone, but not until a good solid 11 hours in to wearing the product. At that stage of the game, I feel a mascara owes me nothing! The package does say it is a fibre infused formula, which normally I would stay away from for fall down in the eyes, but I experienced none of that. So compared to the original Loreal Butterfly Mascara I would say Intenza builds more volume, but doesn’t fan out the lashes as much. It appeared blacker than the original formula and held the curl the same. I happened to try it on a day when my eyes were watering like crazy, and experience no smudging, and no wilting. Probably the best validation for this product was that Mr. GirlLovesGloss actually said to me the other morning, “wow your eyelashes look really full and voluminous” (seriously, he said that. If you know him you’d know that is NOT a normal occurrence!) 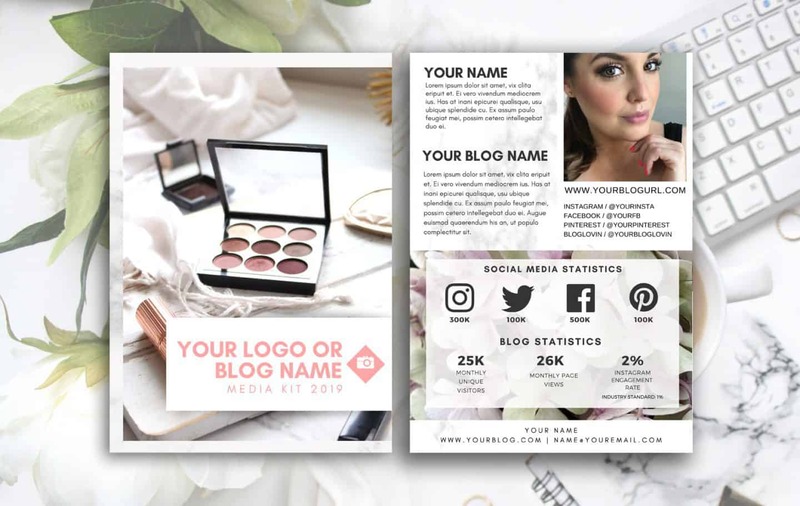 If that doesn’t sell you, I don’t know what will! Have you tried this mascara or the original Butterfly?